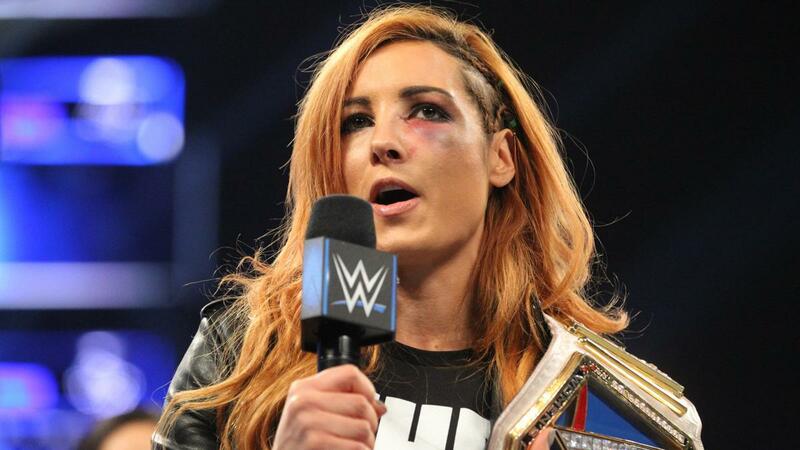 – No Becky Lynch, due to an injury apparently caused by Nia Jax during the Raw angle. 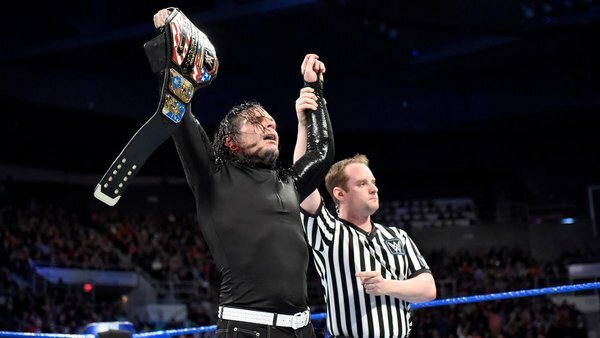 – No AJ Styles, and a new WWE Champion in the apparently heel Daniel Bryan. 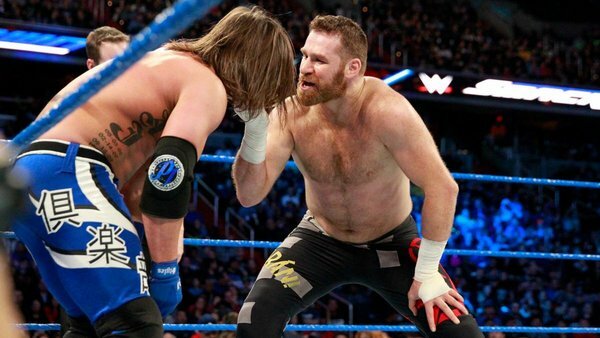 – A potential Wrestlemania main event thrown together with less than a week’s notice. So yeah, I had to knock the whole tower of blocks over and start rebuilding. 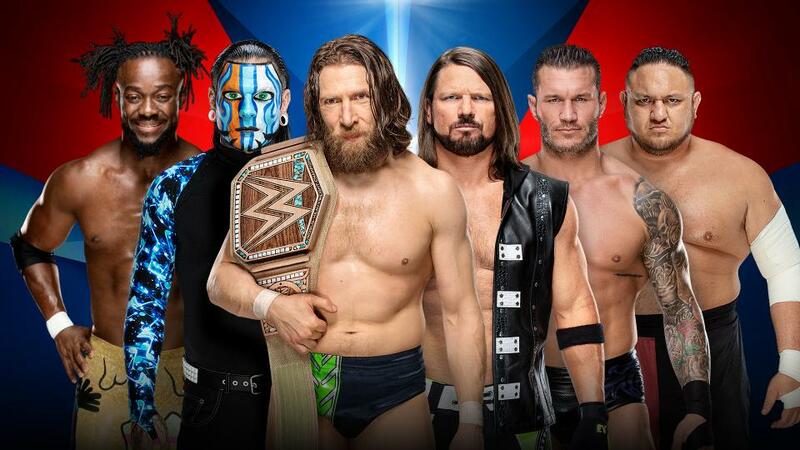 I’m not going to break up the Survivor Series predictions the way I did Wrestlemania and Summerslam. However, I do think the female side of Survivor Series now deserves special attention. So let’s pull those two matches aside here, and in the process dissect some of the issues at play. 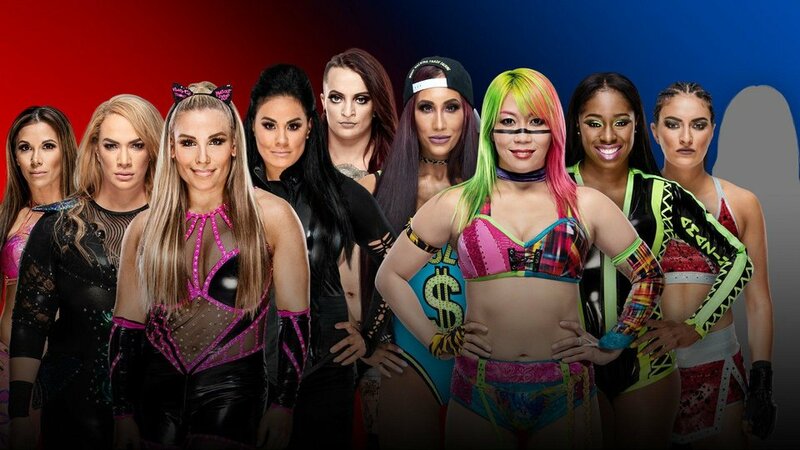 We’ll start with the traditional Survivor Series 10-Woman Tag. Asuka, Naomi, Carmella, Sonya Deville & ? Allegedly, Nia Jax has a ton of heat on her for being careless and injuring opponents. It’s not hard to see why. She apparently just hurt Zelina Vega at Evolution. So she’s going to have to sit in this for awhile. I wouldn’t be surprised if they got her out of there early, possibly via a quick tap-out by Asuka. That LA crowd is going to eat her alive. Best to just rip the band-aid off. We’ve got a good ol’ fashioned mystery partner in this match. I’m hearing a decent amount of buzz about Nikki Cross, given what they just did with her on Smackdown. But frankly, I wouldn’t be surprised to see Mandy Rose get the spot. On that same Smackdown episode, they had her cut a big promo about being left off the team. This is a chance for them to follow that up. I was downright floored when Sasha Banks and Bayley weren’t put on Team Raw. You can justify it with the fact that Alexa Bliss, a heel, picked the team. 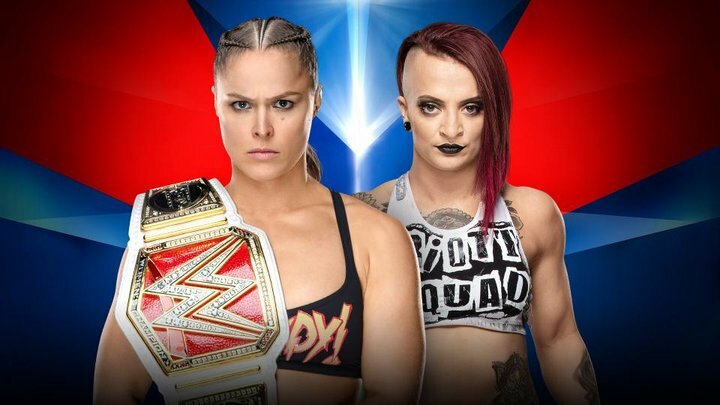 And it’s certainly great to see Ruby Riott get the nod. Still, that’s a hell of an omission. 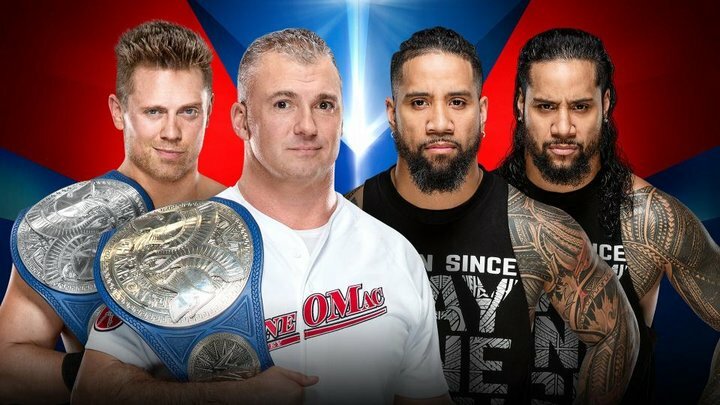 I see Team Smackdown taking this one. They’ve got a corny, yet emotional storyline going on with Ruby and Natalya right now, so I see that factoring into the finish. If they’re smart (they usually aren’t), they can use the loss to throw some more heat on Alexa, as she obviously skipped two obvious choices in Sasha and Bayley. You know what they should do here? Put the title on the line. Why not? Ronda shouldn’t be losing anyway. So just give the match that extra sizzle! 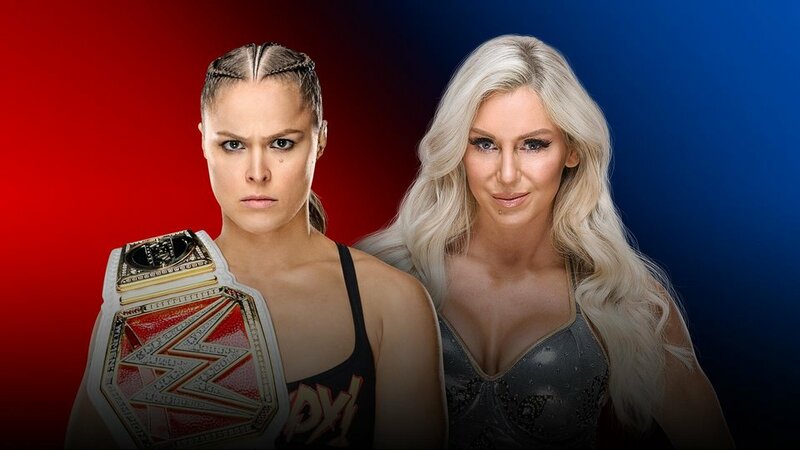 Much like Brock vs. Roman was widely rumored to headline this year’s Wrestlemania for the better part of a year, Ronda vs. Charlotte has been buzzed about for next year’s big show. And yet, here we are. I’m amazed to hear myself say this twice in one show, but I wouldn’t mind a non-finish here. Not because I’m bound and determined to see it at Wrestlemania, but because this is a huge match that they’re throwing it out there as a hail Mary because of Becky’s injury. I’m very rarely an advocate for non-finishes on pay per views. But I’d be fine with it here. There’s been a good amount of buzz about Becky now getting the big match with Ronda at Wrestlemania. That’d be absolutely amazing, and she’s beyond deserving. But, given how WWE usually handles these situations, I think a Triple-Threat between Rousey, Flair, and Lynch is much more likely. 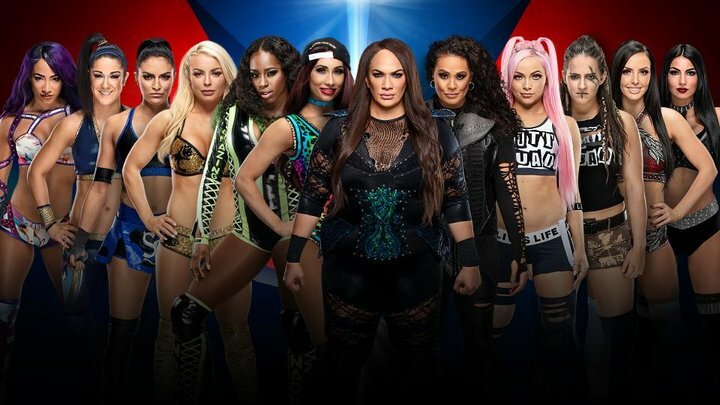 This entry was posted in Wrestling and tagged Alexa Bliss, Asuka, Bayley, Becky Lynch, Carmella (WWE), Charlotte Flair, Mandy Rose, Mickie James, Naomi (WWE), Natalya (WWE), Nia Jax, Nikki Cross, pro wrestling, professional wrestling, Raw vs. Smackdown, Rob Siebert, Roman Reigns, Ronda Rousey, Ronda Rousey vs. Becky Lynch, Ronda Rousey vs. Charlotte Flair, Ruby Riott, Sasha Banks, Sonya Deville, Tamina Snuka, women's wrestling, Wrestlemania, Wrestlemania 35, Wrestlemania XXXV, WWE Raw, WWE Raw results, WWE Smackdown, WWE Smackdown Live, WWE Smackdown Results, WWE Survivor Series, WWE Survivor Series 2018, WWE Survivor Series predictions on 11/15/2018 by primaryignition. Booker T isn’t happy. But we all should be. Last week on his Houston-based radio show, the former WCW Heavyweight Champion made some bold statements about being replaced by Jonathan Coachman on the Raw announce team. Comments specifically directed at Corey Graves. 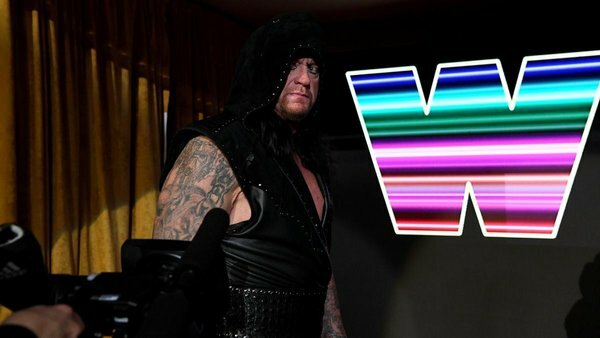 According to Booker, Graves is “the reason that I’m not on Monday Night Raw right now.” Booker claims he was removed because people in the company were worried about a physical confrontation between the two, based on how they were interacting on television. This feels like a work, especially given what Booker said about Wrestlemania. But for a moment, let’s go with the notion that he was shooting. 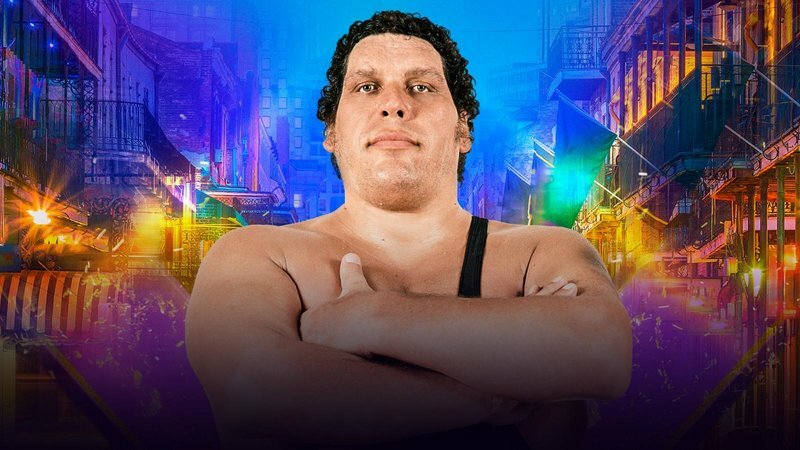 Let’s say Graves somehow got Booker moved back to pre-show duty. He did us a favor, folks. When Booker subbed in for David Otunga on the Raw announce team, I think most of us were relieved. Almost anyone is a better choice than Otunga. And for awhile, Booker was a breath of fresh air. But as the months went on, his work went off the deep end. It became a ongoing gag for Cole and Graves to make fun of him for saying nonsensical things. As a wrestler, Booker was a bona fide star. But as an announcer he was drowning. 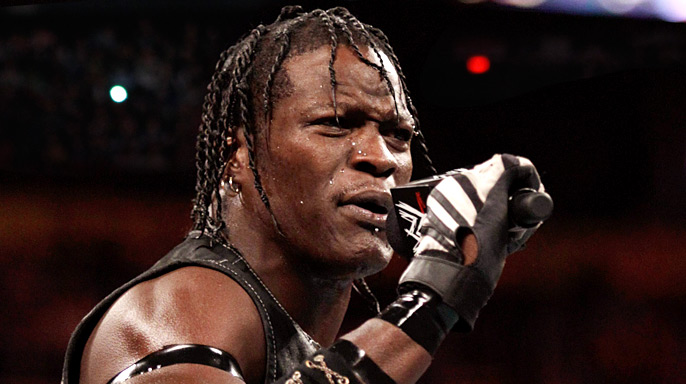 Given the choice between Booker T and Jonathan Coachman, they’d have been foolish not to go with Coach. 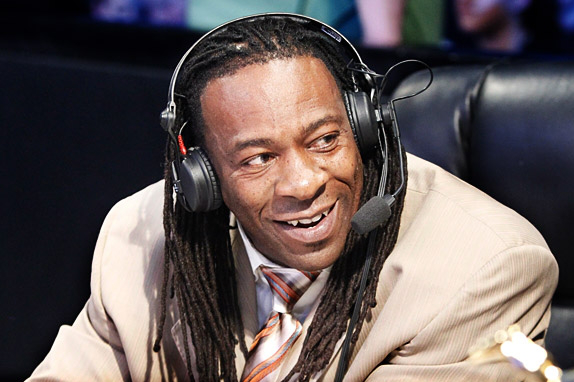 Booker T is a bona fide Hall of Famer, and he deserves our respect. But the time had come to bump him off Raw. At least for the time being. Loved those opening pre-tapes. What’s more, they were looking into the camera! Finn Balor and Karl Anderson def the Revival. 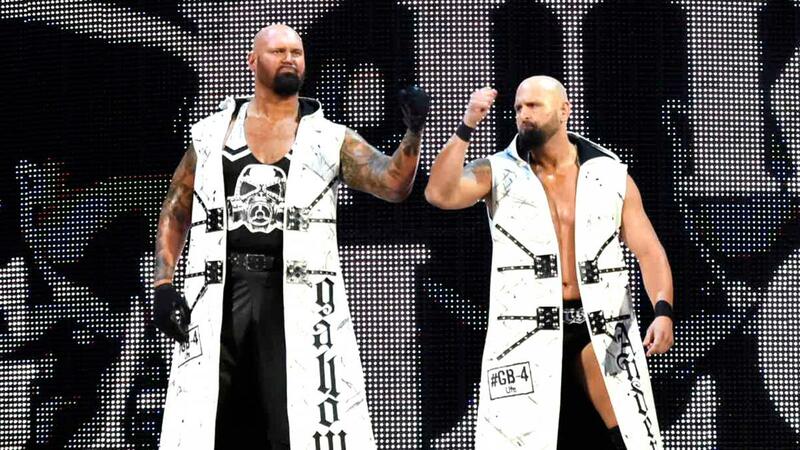 My ears perked up when Scott Dawson used the phrase “tag team specialists.” On a recent episode of Something to Wrestle, Bruce Prichard explained that phrase used to be applied to teams made up of smaller guys, i.e. the Midnight Rockers. The idea was they were relatively easy to beat as individuals, but as a team they were nearly unstoppable. Then Dash and Dawson lost to Balor and Anderson, who teamed up on a whim. Whoops. Hey, at least Balor beat somebody. 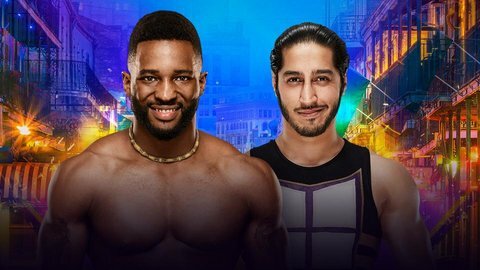 Cedric Alexander and Mustafa Ali def. Drew Gulak and Tony Nese. New 205 Live General Manager Drake Maverick (formerly Rockstar Spud) joins the announce team. I’m familiar with Rockstar Spud’s work from Impact Wrestling, though not extensively so. Here’s what I’ll will say: He did amazing out there on commentary. An absolute natural. That was his first time out there on Raw. I say we make this guy the new Austin Aries. 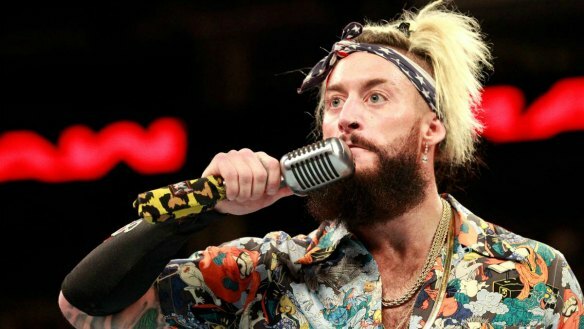 Put him out there on commentary every week for the Cruiserweight matches to give them some unique flavor. Alexander took a beating in this match. 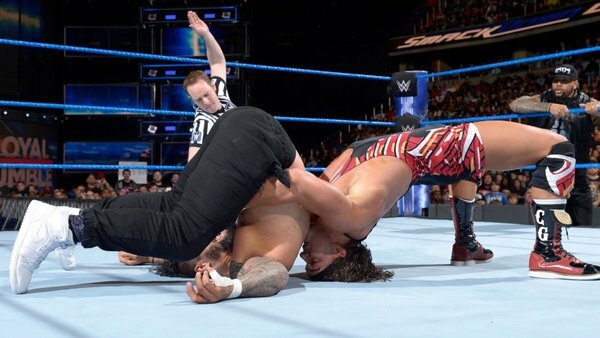 Not just the fall on the shoulder, but that landing after the somersault over the ropes. He looked like he landed on his tailbone. 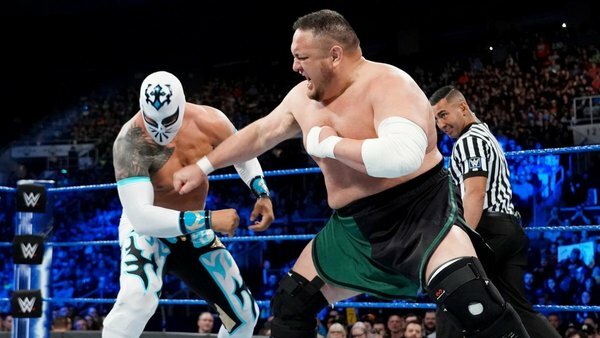 I’m not a regular 205 Live viewer. But with Roderick Strong debuting against Hideo Itami, tonight’s show is appointment television. Kurt Angle announces Bayley, Sasha Banks, Mickie James, Mandy Rose, and Sonya Deville will challenge Alexa Bliss in the first ever Women’s Elimination Chamber Match. Bliss calls Angle out for not having Brock Lesnar defend the Universal Title in a Chamber Match. I was actually surprised to hear Alexa call Kurt a sexist. You’d think with everything being so ultra PC these days, they wouldn’t even want to suggest such thing. It got a nice reaction, though. Angle also announced Asuka vs. Nia Jax for Elimination Chamber. If Jax wins, she gets in on Asuka’s championship match at Wrestlemania, whoever she picks. I don’t see Nia beating Asuka. But this could help pave the way for her challenging Alexa at Wrestlemania. Asuka def. Bayley. This was pretty good. Loved the reverse roll-through counter to the Asuka lock. That was almost an old Bret Hart spot. Probably Bayley’s best Raw match since the night she won the title from Charlotte. Now if only Bayley had gotten any kind of reaction when her music hit. If she keeps having matches like this, she’ll be on the comeback trail. But she’s not there yet. The Miz def. 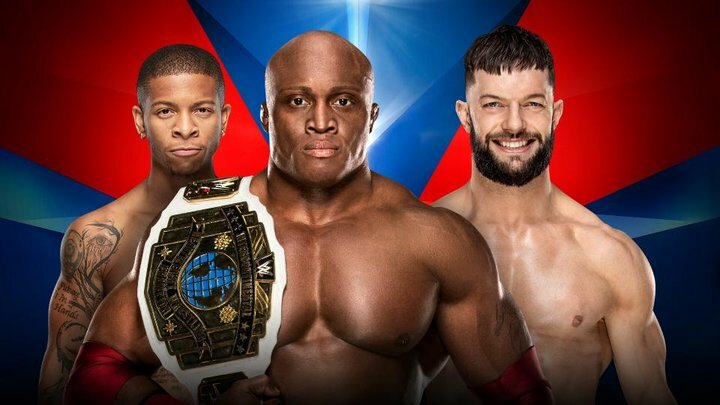 Apollo Crews to quality for the Elimination Chamber Match. Crews has had a good couple of weeks. Now if only he could find some personality. The Bar def. 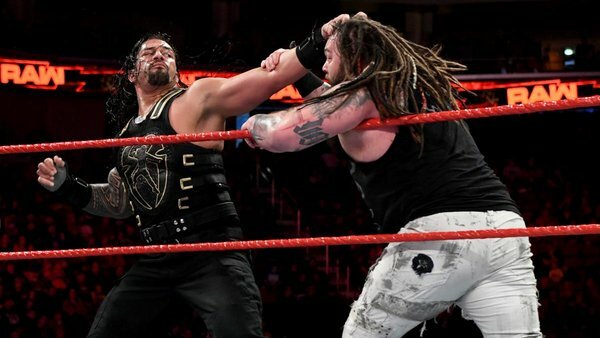 Seth Rollins and Roman Reigns to retain the WWE Raw Tag Team Titles via DQ, with an accidental assist from Jason Jordan. Apparently Jordan has some neck and back issues, which is why we haven’t seen him wrestle in awhile. The timing couldn’t be worse, of course. But they’ve been creative in how they’ve kept him involved. 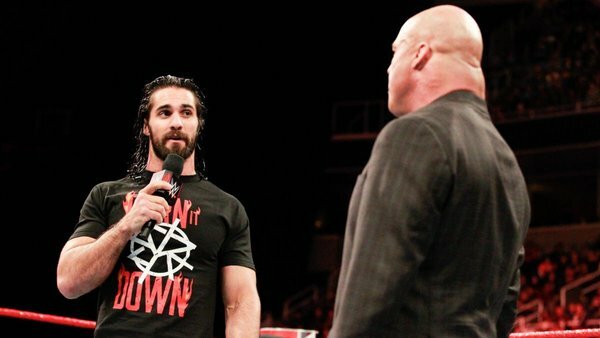 Based on what we saw here tonight, the official heel turn should be coming sooner than later. 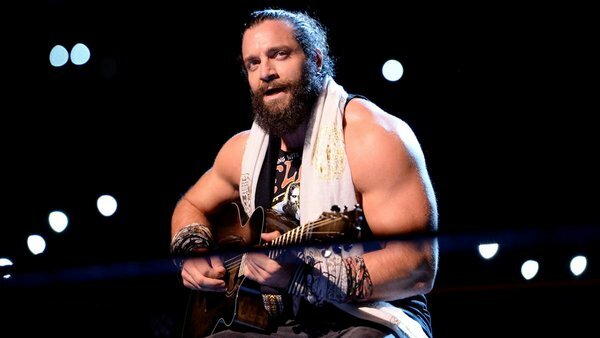 Elias def. 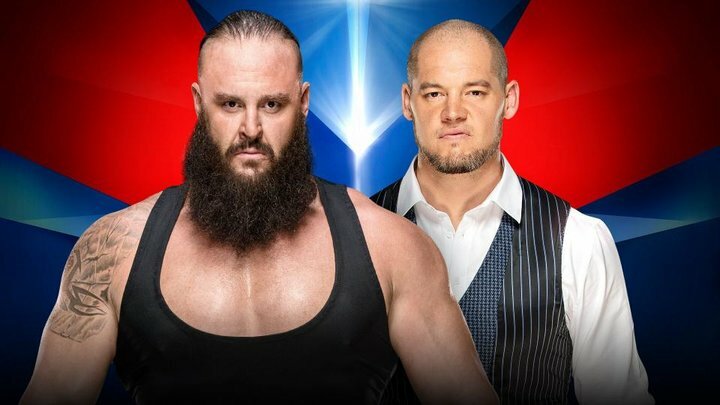 John Cena and Braun Strowman in a Triple-Threat Match to earn the right to enter last in the Elimination Chamber Match. There’s been a good amount of buzz about Strowman challenging Miz for the Intercontinental Title at Wrestlemania. 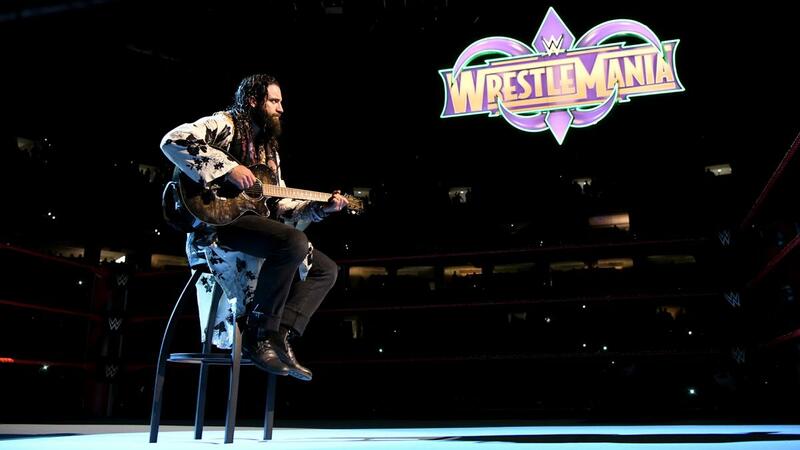 But I think they’d do just as well to put Elias in that spot. The guy’s getting cheers. 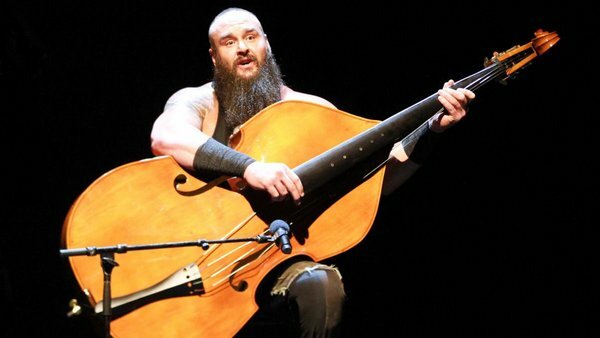 This entry was posted in Uncategorized and tagged Alexa Bliss, Apollo Crews, Asuka, Bayley, Booker T., Bray Wyatt, Brock Lesnar, Bruce Prichard, Cedric Alexander, Cesaro, Corey Graves, Dash Wilder, Drake Maverick, Drew Gulak, Finn Balor, Jason Jordan, Jonathan Coachman, Karl Anderson, Kurt Angle, Mandy Rose, Matt Hardy, Mickie James, Mustafa Ali, Nia Jax, pro wrestling, professional wrestling, Rockstar Spud, Roman Reigns, Sasha Banks, Scott Dawson, Seth Rollins, Sheamus, Something to Wrestle with Bruce Prichard, Sonya Deville, The Bar (WWE), The Miz, The Revival, Tony Nese, Woken Matt Hardy, Women's Elimination Chamber Match, WWE, WWE 205 Live, WWE Elimination Chamber, WWE Elimination Chamber 2018, WWE Monday Night Raw, WWE Raw, WWE Raw results on 02/06/2018 by primaryignition.